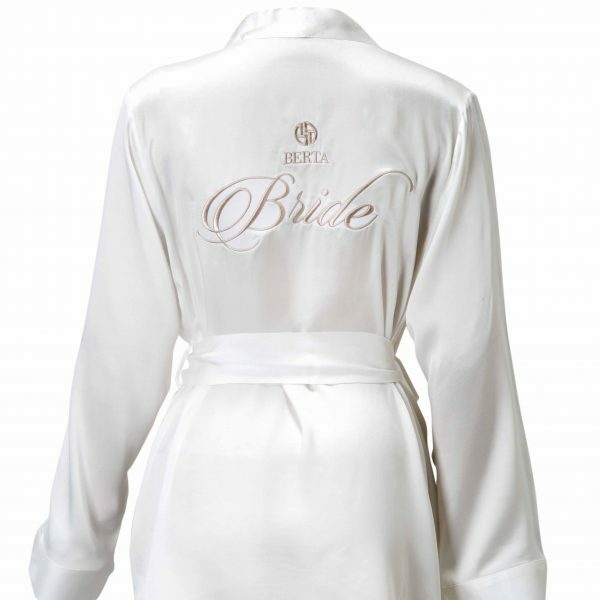 Get all dolled up in this chic branded BERTA bride robe for your special day. One Size only – fits most body types. Fits sizes 36-50 on the BERTA chart. 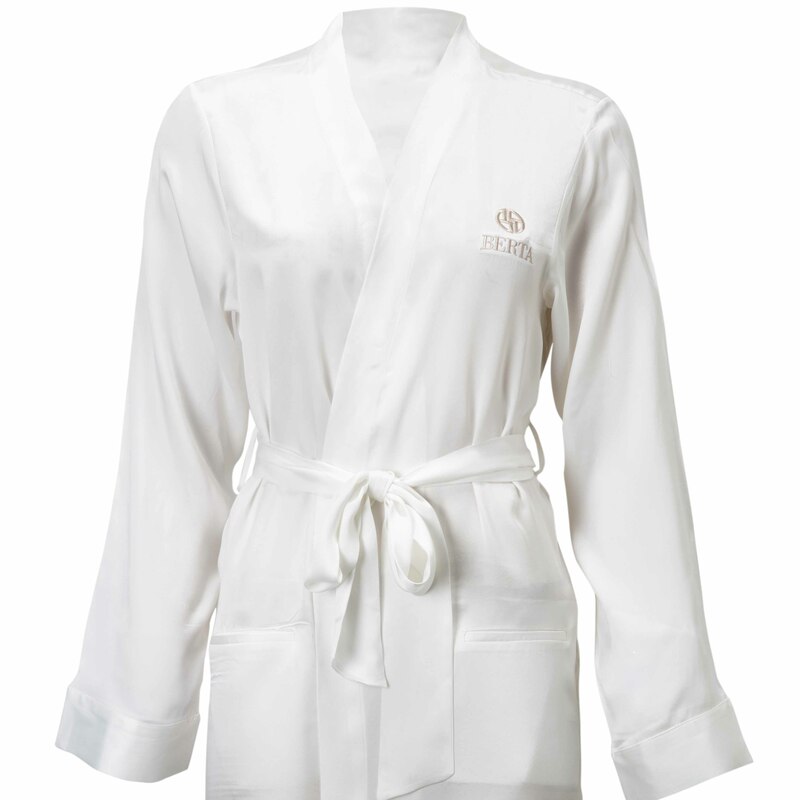 *Note – all BERTA robes are steamed before shipping. Due to the dainty fabric, there may be wrinkles upon receiving.